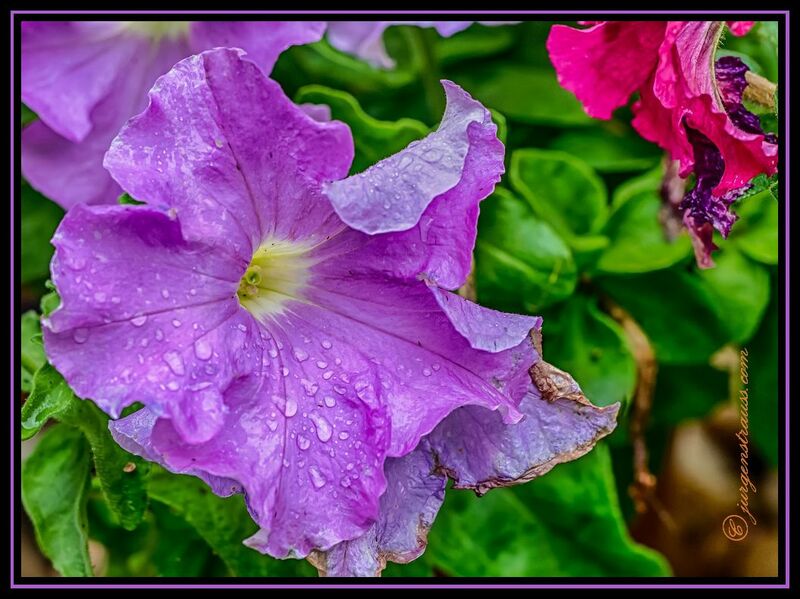 Another afternoon of rain today, but at least warm enough and light winds to get out and photograph these fuchsias and petunias that were collecting rain drops. 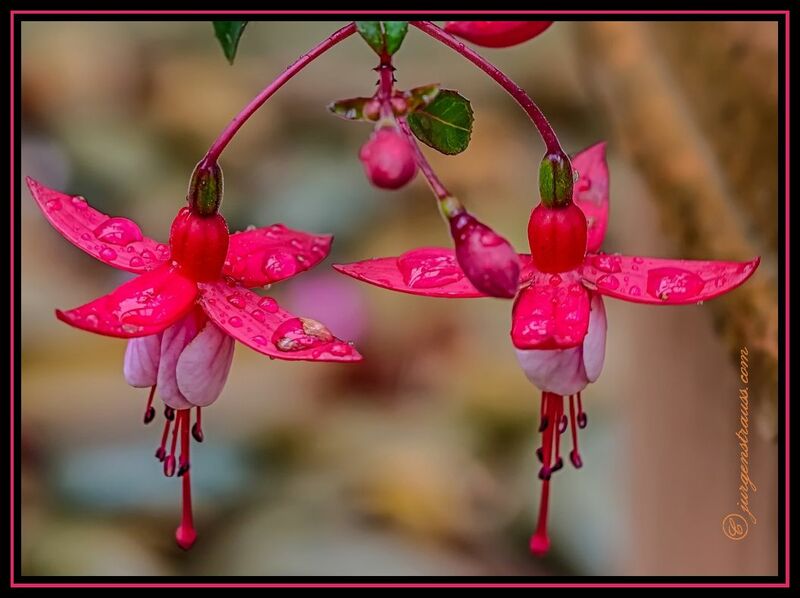 Have you wondered why many petals (and leaves too) cause water droplets to bead? This is commonly called the Lotus effect, named after the Lotus leaf which is really fabulous at demonstrating this effect (as shown in one of my other photos here). The Lotus effect refers to very high water repellence exhibited by these leaves and is caused by the complex micro-structure and nano-architecture of the surface of the leaf - the high surface tension of the water droplets will cause the droplets to minimize their surface area by trying to achieve a spherical shape - on contact with the surface of these leaves, incomplete surface wetting occurs because of the surface structure of the leaf. This causes dirt particles to be picked up by the water droplets, rather than sticking to the surface. This phenomenon has been widely used in practical applications such as surface coatings, to provide self-cleaning properties to those surfaces. Photographed with: Olympus Pen EP-3, with Olympus M.Zuiko Digital ED 60mm f2.8 macro lens, with an exposure bracket of +/- 2 EV at f 4 and 200 ISO and the resultant images combined to produce an HDR image.